Everyone needs a simple, classic blueberry muffin recipe in their arsenal. 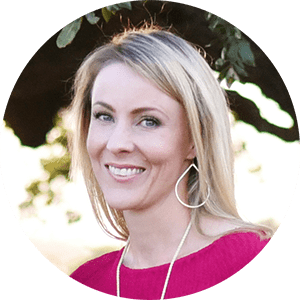 Today I’m sharing my favorite…it’s quick, it’s easy, it’s delicious. There’s nothing fancy about these muffins. No cinnamon swirl or praline topping to set them apart. No citrus zest or sticky glaze to put them over the top. But what they are is good. Just plain good. 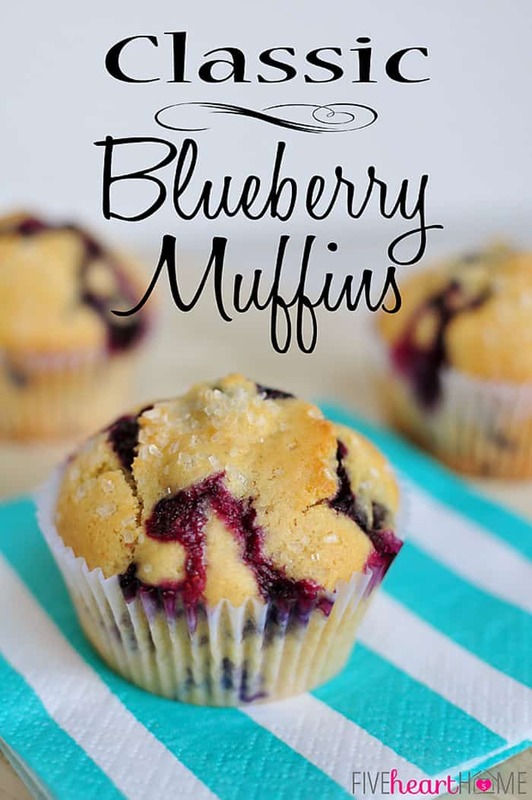 Whether you’re thinking that homemade blueberry muffins would make a great breakfast on the go, or you’re craving them to make a Saturday morning special, or you’re baking them up to round out a brunch, this recipe is for you. It’s simple, yes, but the results are pure muffiny goodness. And y’all know I like a good muffin! After all, who could resist such a delicate, lightly sweetened treat, studded with sweet-tart berries and oozing with deep purple juice (which has always begged the question…are blueberries really blue?). And who could resist such results from a no-fuss recipe with straightforward ingredients that can be whipped up — in one bowl — in a matter of minutes? Not me, that’s for sure. So if you’re still clinging to summer and not quite ready to embrace pumpkin for breakfast yet, fall back on an old stand-by. 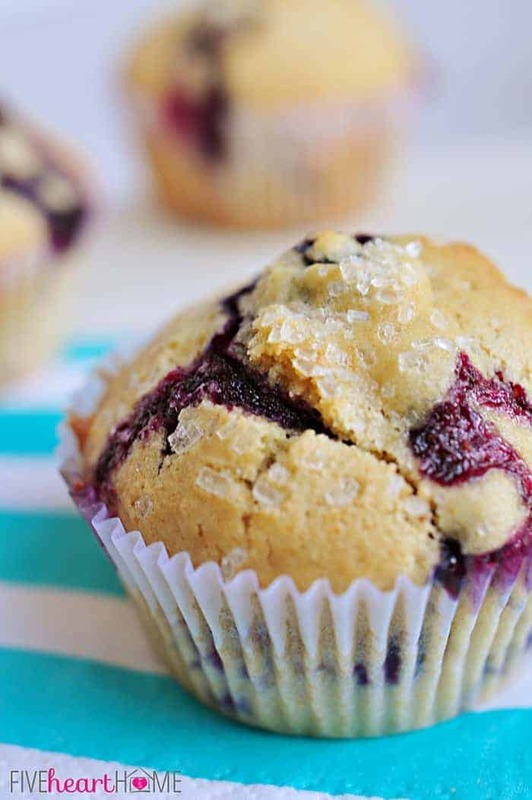 Blueberry is the quintessential type of muffin for a reason, and as this recipe proves, sometimes classic really is best. 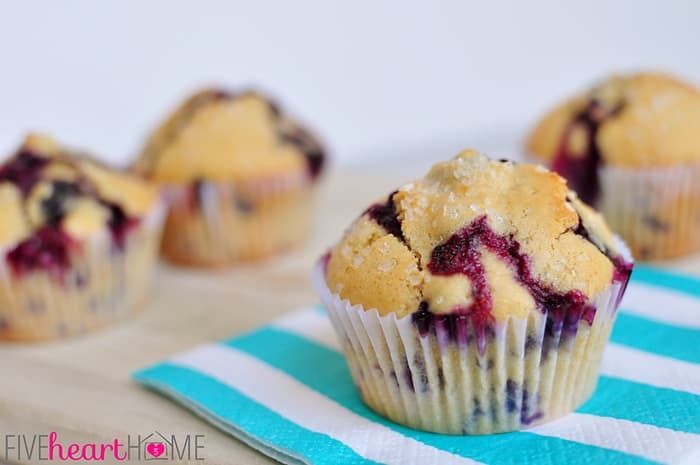 This simple, one-bowl recipe yields classic results in the form of tender muffins that are bursting with blueberry goodness. Preheat oven to 400°F. Line 18 muffin cups with paper liners. In a large bowl, whisk together flour, sugar, baking powder, and salt. Work in the softened butter with an electric mixer or fork. Blend in the eggs, milk, and vanilla until all ingredients are incorporated, but do not overbeat. Gently fold in the blueberries. Scoop batter into prepared muffin tins, filling each cup about 3/4 full. You should get 16 to 18 muffins out of this batter. If desired, sprinkle the top of each muffin with coarse sugar. Bake for 20 to 25 minutes or until muffins just test done with a toothpick, taking care not to overbake. Remove muffins from pans and cool on a wire rack, or eat warm out of the oven with a pat of salted butter. I've had good results baking this recipe with both white flour and whole wheat pastry flour. You may also use half white flour and half regular whole wheat flour (if you don't have whole wheat pastry flour). I always like to make sure that the eggs and milk are somewhat at room temperature so that they don't chill the butter and cause little lumps when I mix them in. If you use frozen blueberries, don't thaw them first. Doing so will just make them all mushy. 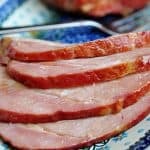 This recipe comes together quickly in the bowl of a stand mixer, but you can also mix it in a bowl by hand if you prefer. Adapted from This Week for Dinner. See our MUFFIN RECIPES <<< here! 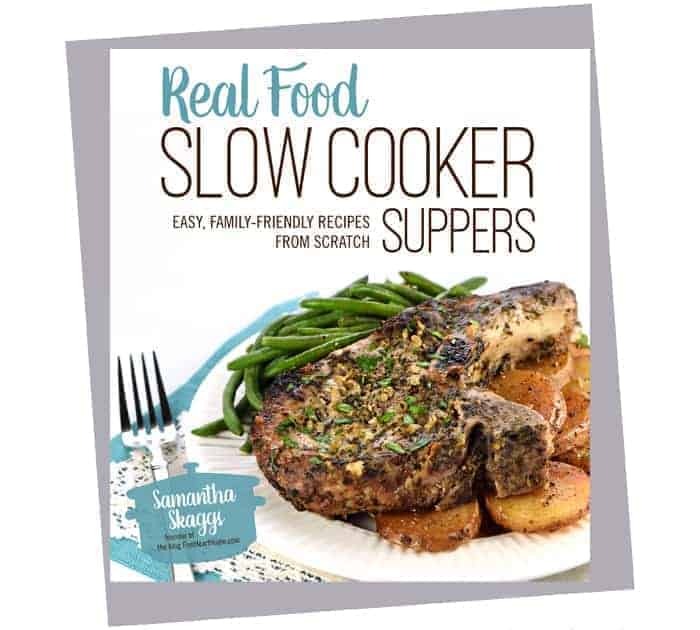 These look amazing Samantha! I love blueberry in any baked goods and I love that sugar sprinkle on top. Delicious! Thanks, Anne! The sugar on top gave them a really nice crunch, plus it’s just pretty. 🙂 Hope you enjoy these…thanks so much for the comment! Oh, I am totally late on eating breakfast and now I click over to see this! DELICIOUS. My yogurt definitely seems subpar looking at these muffins. Yummy. These are some gorgeous muffins! Saw them at Best of the Weekend! Thanks so much, Marcie! I appreciate you stopping by to check them out! 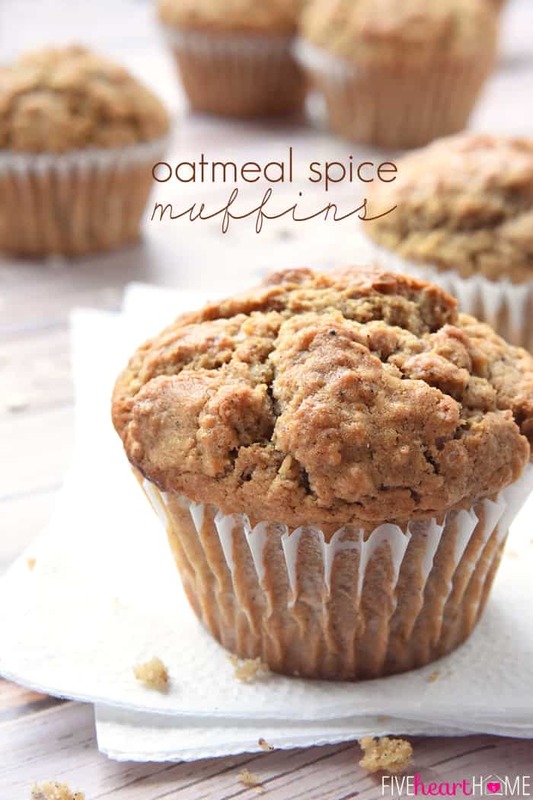 I’m a sucker for a good muffin, and these look delicious and easy to make! These would be a great baking project with my 5 year-old. She’ll love them! 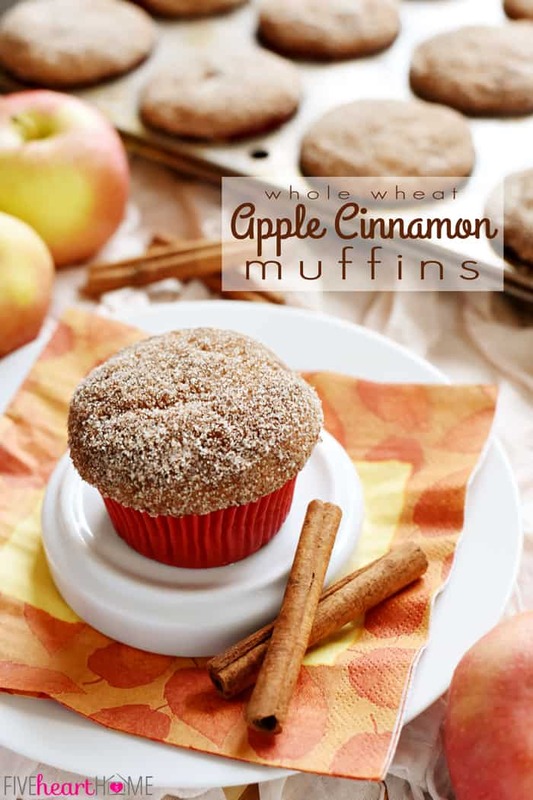 My family and I love muffins and these look delish! Pinning for later! My family loves muffins, too, Ritchil…there are so many great variations, they’re easy to eat, and they even travel well! Hope you enjoy these…thanks so much for the comment and the pin! 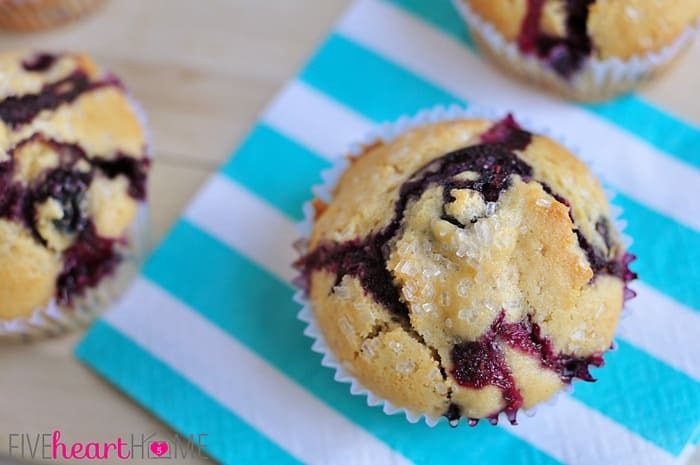 I have a soft spot in my heart for a really good blueberry muffin! Thank you for sharing this at the Pinworthy Project Link Party on Planned in Pencil. I agree, PJ…I just don’t think you can beat a good blueberry muffin! 😉 Thanks so much for having me at your link party! These are very beautiful muffins Samantha! And I agree with you, everyone needs a great blueberry muffin recipe. I need to try these. Pinning! I appreciate you stopping by to comment and pin, Zainab! I hope you love these muffins if you end up trying them. Have a great week! These look so delicious! Blueberry muffins are my favourite type of muffin too! I would be thrilled if you have the chance to share this at our new Fall DIY Challenge – today we are linking up BLUE projects – old or new! Hop over to share yours! Hope to see ya there! These look wonderful! Thanks for sharing 🙂 Have a terrific week! These muffins looks absolutely AWESOME !! Thanks, Winnie! I hope you enjoy them if you get to try them! Gotta love a classic, and your photos are gorgeous! Thanks for sharing these! Sometimes you just can not beat a classic!! These look so darn tasty! Love those juicy blueberries!! Thanks, Jocelyn! Plain or fancy, I’ve never met a blueberry muffin I didn’t like… 😉 Thanks so much for stopping by! You definitely win the award for “Most Delicious Interpretation of the Color Blue” with these muffins! They look sooooo good! Thank you so much for linking up at Get Your DIY On, Samantha! Hope you’re having a wonderful week! 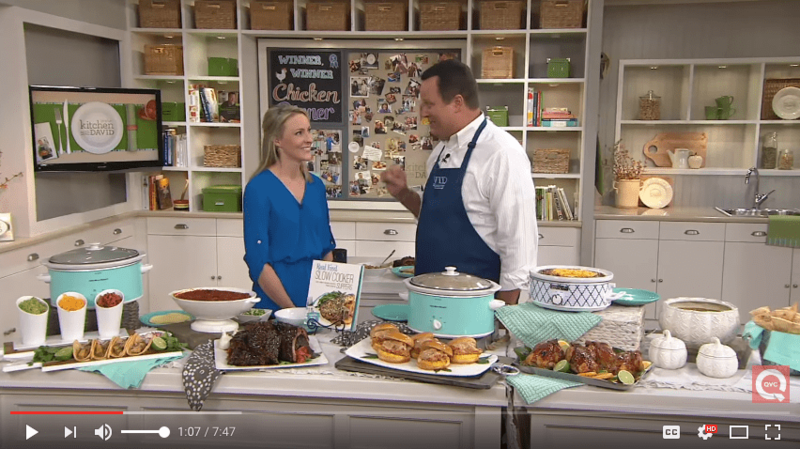 You’re too kind, Abby… 🙂 And thanks so much for having me at your link-up. Y’all have a really fun, themed party going, and I’m excited to check back again this week! Happy Friday! the batter once all mixed together, seems so thick. hopefully did everything right. they are in the oven now, so we will see in about 20 min! thanks for the simple recipe! I substituted half the white sugar with brown sugar! The batter was delicious and they’re in the oven as I type this! Can’t wait to try them!!! My mom and sister can’t eat gluten, but we all like blue berry muffins, I can’t have white sugar, it causes me gas pains and chest pains, so, I set out to find a gluten free recipe for muffins, and I failed, since I hate rice flour, and then I thought, would oat flour, which I used before, work for muffins? I used your recipe and replaced the flour with oat flour, and the sugar with coconut sugar, which I can tolerate, and they didn’t rise as high, but they still came out really good, I wouldn’t know if they’re as good as your original recipe, BUT they were still pretty amazing with a few changes, I made them today. Yum. That’s wonderful, Shanya…I’m so happy that these worked out for you with the modifications that you needed to make. 🙂 And thanks for coming back to share, because your comment may help someone else who has the same sensitivities. Happy Friday! Would it be possible to use honey in place of the sugar (or maybe at least do 1/2 the sugar with honey)? If so, how much honey do you think you’d need? 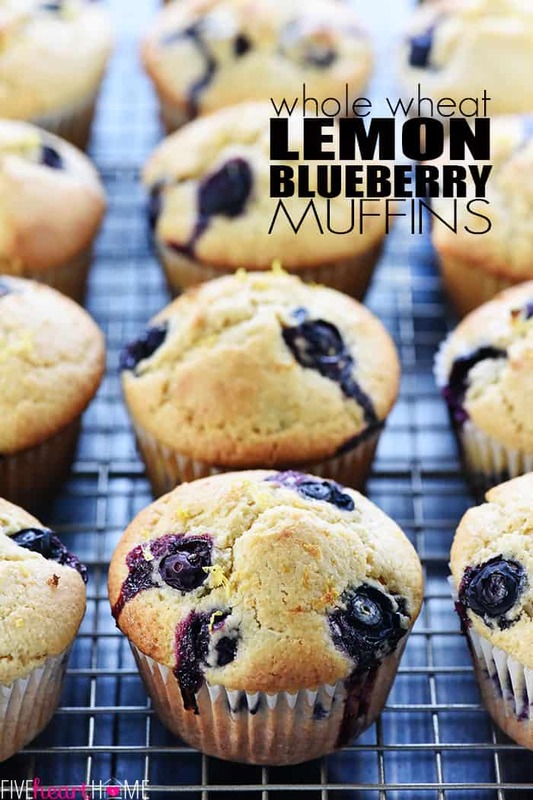 I try to limit my white sugar intake but I would love to make these muffins! Hi Jessica! 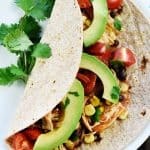 I love using natural sweeteners, but I haven’t tried substituting honey for the sugar in this particular recipe, so I can’t say for sure if it would work. There’s a chance that the texture or rise of the muffins could be affected, but I’m guessing that the swap would work just fine with a few tweaks. If you want to try the substitute, you can use 3/4 cup of honey for the same level of sweetness as 1 cup of sugar (or you could even use 1/2 cup honey if you don’t mind your muffins turning out a little less sweet). And if using honey, I’d probably cut back on the milk just a bit to make sure your batter isn’t too wet…you can always add more milk back, if necessary. Hope this works out if you decide to try it! 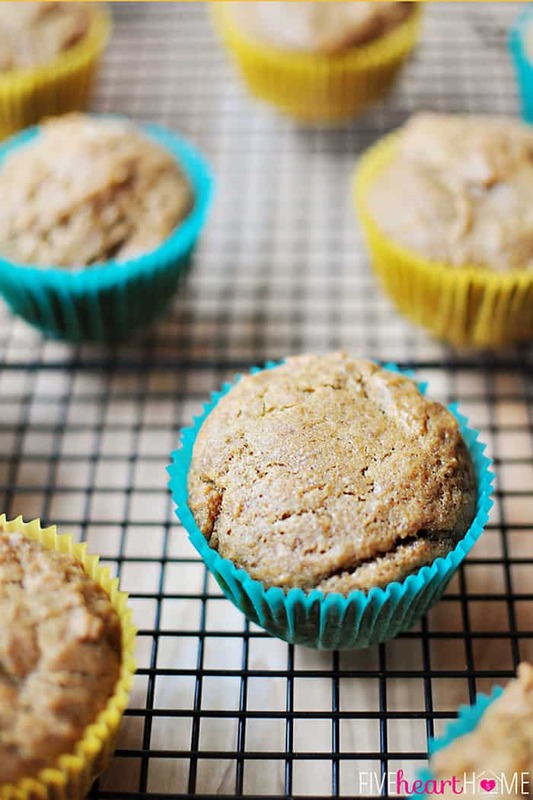 But if not, I do have a banana muffin recipe on my site that already uses honey: https://www.fivehearthome.com/2014/01/22/healthy-whole-wheat-honey-banana-muffins/. 😉 Good luck! Thanks for the quick reply! I’ll definitely give it a try and come back to say how it turned out!! Love these muffins. My 2 year old is gluten free so I substituted gl flour for the flour in the recipe and xylitol for the sugar. But they were yummy. Thank you so much for sharing. And if you have anymore recipes please post them. Your recipes are soo good. Hi Eliza! I’m so happy that y’all enjoyed these muffins and that they turned out great with your substitutions! 🙂 I definitely have lots more recipes shared where this one came from — ha. 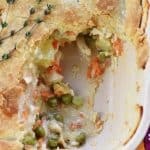 😉 I typically post three new recipes a week at FiveHeartHome.com, and there’s a menu bar at the top and a search box towards the top of the right sidebar in case you’re looking for any specific recipes. Enjoy! My family recently moved to Arctic northern Quebec because my husband got a job teaching in an Inuit school. There are these fantastic little berries that grow wild *everywhere* here, which are called crowberries. They are about the size of a blueberry, but very tart. 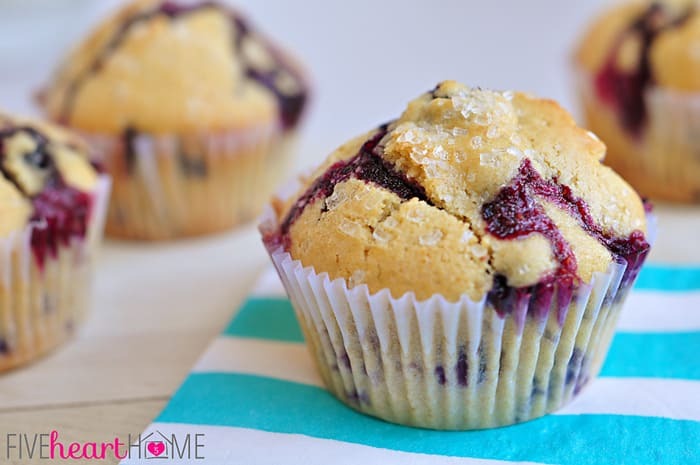 I was looking for a simple blueberry muffin recipe to try them in, and came across yours. It is absolutely perfect! The crowberries sweeten when baked and make a fantastic muffin!! Thanks for the recipe! !